Who doesn’t want more cookies in their life? Especially during the holidays? The Christmas cookie exchange is a genius invention designed to get a festive assortment of cookies into your house and your mouth… and an excuse to spend time with your fellow sweets-loving friends. The basic rules are simple: You invite people over. Each of them brings enough cookies to sample at the party and for everyone to take home a dozen or so. Guests leaves sugared up and happy with a few dozen cookies in hand. Season’s Treatings: Define “cookies” loosely to give people more options. Bars, fudge, and other sweet bites are welcome. 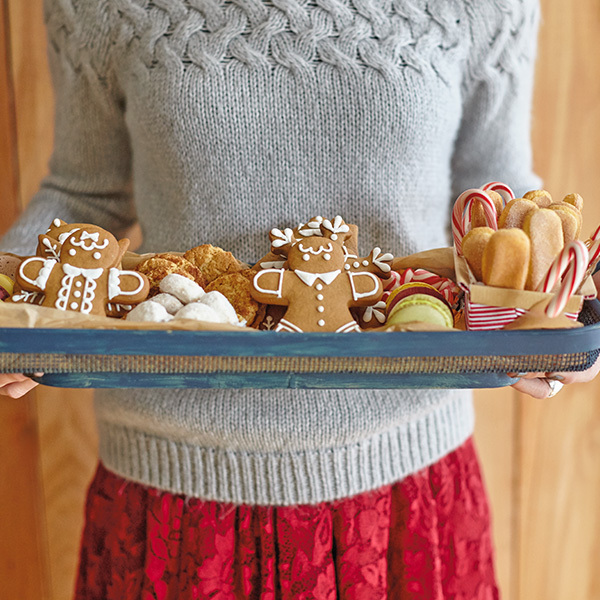 Deck the Cookies: Instead of bringing treats, guests bring toppings for decorating sugar cookies or gingerbread houses. You provide the cookies and icing. They bring the sprinkles, candy canes, chocolate candies, mini marshmallows, gumdrops, and more. Go Down in History: Guests bring treats with a story attached to them—an old family recipe, a new experiment, the kids’ favorite. Fake and No-Bake: Say you and your friends love cookies, but not making cookies. Invite guests to bring their favorite store-bought, slice-and-bake, or easy-assembly treats (the kind where you dip an Oreo in white chocolate and add sprinkles, for example). Camera-Ready Cookies: This one’s for the food bloggers and their Instagram-worthy creations. Knock the number of required cookies to just a few beautiful samples and start searching Pinterest. Once you’ve chosen your theme, figure out your invite list. Cookie exchanges aren’t huge parties: usually a half-dozen to a dozen folks. 1. Did I give people enough time to plan, shop, and bake? 2. Is this for a non-weekend night or early enough in the season people won’t be booked? If the answers are “yes”—good job! 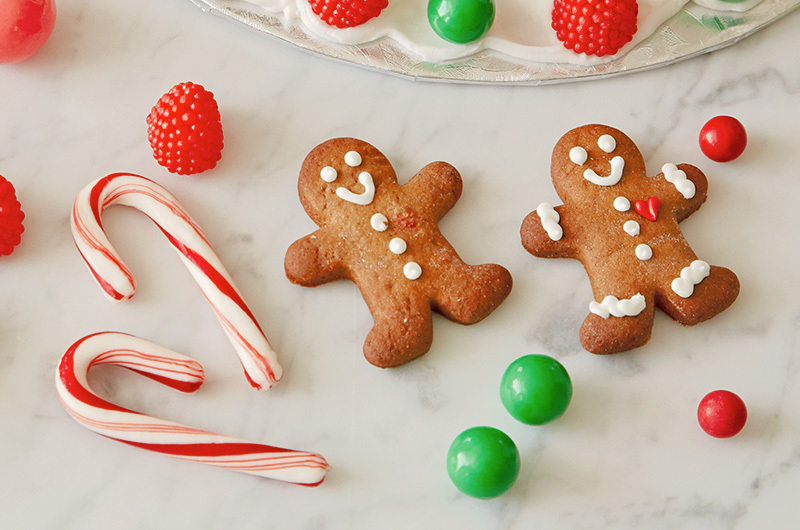 You get a cookie (soon, at your party). The number of cookies each person should bring to exchange (a dozen for each guest? a half-dozen? just a few?) and sample (the number of guests at the party—plus a few extra if you’ll have family members sneaking cookies off the table). A way to track who’s bringing what, so you don’t get a dozen sugar cookies. Shared online documents and social media groups are perfect for this. A reminder to bring a giant container (or a few smaller ones) for spiriting away all the goodies. If you want to keep your party low-effort, guests can pack their cookies in their own containers. If you’re all sorts of extra, you can pre-package everyone’s allotment in cute boxes. We have lots of ideas and free printables for boxes and bags and tags and more tags. Want to make sure your house is peak-Christmas on exchange day? Wait to bake your batch until just before the party, and time it to finish right before guests arrive. A table covered with cookies will take center stage, so keep that one simple: Add a holiday tablecloth or a gift-wrap runner. Decide whether you want the sample cookies on the main table or a separate buffet. Make sure there’s plenty of space for guests to navigate the snacks. Plates and napkins for sampling—and some knives, in case people want to split their cookies for tasting. Point the way: Using your list of cookies and guests, print a menu or individual place cards. Or provide index cards and markers so guests can label their own. Put on a holiday playlist: It can be all music, a compilation of YouTube videos, or Hallmark Channel Christmas movies playing in the background. Balance out the sweets with some savory options: Because even the perfect food can use a counterpart. Set up a hand-washing station. Since everyone will be handling food, make sure the kitchen sink or a nearby restroom is ready with soap and plenty of clean towels. Play some reindeer games: Reward bakers’ efforts with some awards—like Santa’s Favorite, Naughtiest, Nicest, Kid-Friendliest, Christmassy-iest, and Most Creative—and let guests vote. Wrap ’em up: If you and your guests are generous enough to plan on giving some of your cookies away, provide gift boxes or bags, along with wrapping and decorating supplies. Make a selfie station: Giftwrap and a few bows, balloons, or tissue paper garlands make an adorable background. As everyone arrives, let them know where to go and what to do. Where do the cookies go? What’s for snacking on vs. taking home? Where can they leave their containers until it’s to-go time? When all the cookies are out and everyone’s had a chance to snack and chat, begin the exchange. Ask guests to grab their containers and stand to the right of their own cookies. Remind everyone how many cookies they should take, and begin. Once everyone’s stocked up on one cookie, rotate clockwise one spot. Keep moving till everyone has their fill! 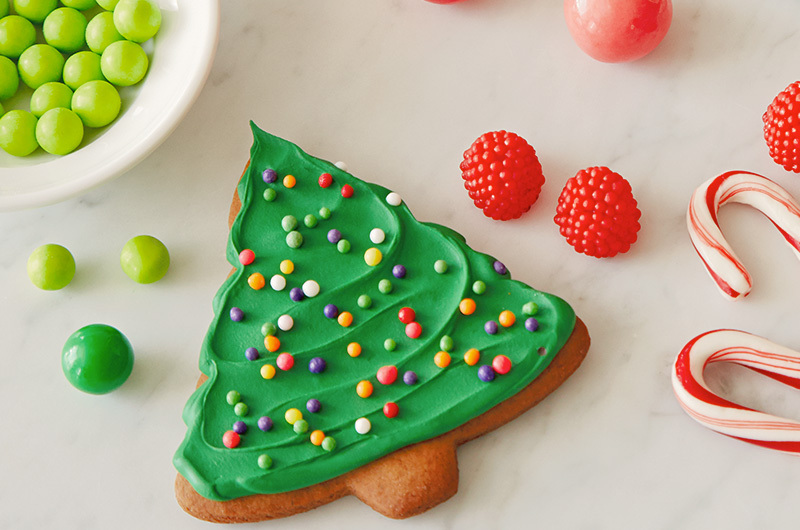 We’d love to know your best cookie exchange tips and tricks. Share them with us on on social media by tagging @HallmarkStores. 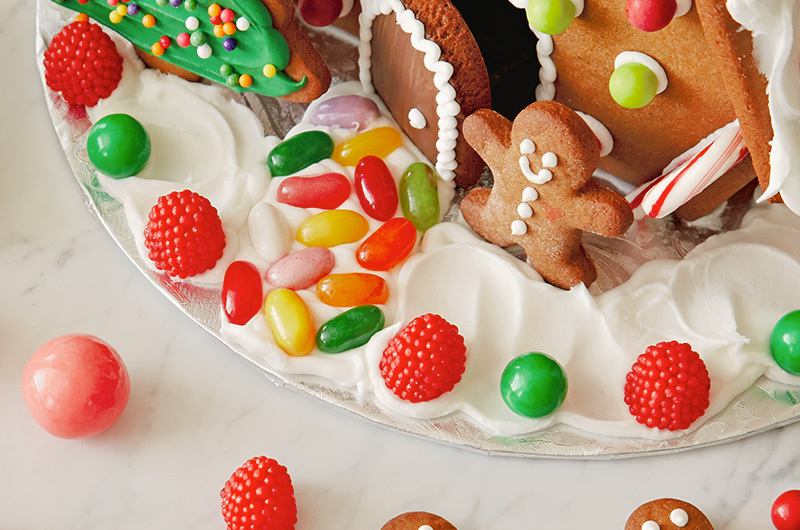 Check out our whole collection of holiday recipes.